George Washington certainly worried about the British army, but he may have been even more worried about smallpox, which had the potential to ravage his already-fragile army. 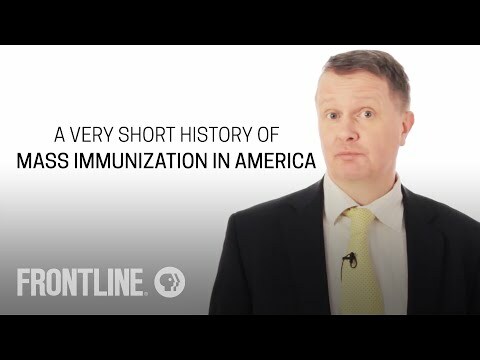 That's how Washington became colonial America's champion of inoculation, the precursor to vaccines — but not without lots of protest. Some parents in Pakistan so deeply mistrust the polio vaccine that they're refused over and over again to let their kids get their shots. Now one fed-up province in Pakistan, which has the most polio cases of any country on Earth, is tossing those parents in jail until they relent. In the 18th century, King Louis XVI underwent a highly controversial medical procedure: smallpox inoculation. To commemorate his new immunity, milliners in France concocted a new fashion. A historian says we need a gimmick like that today to help us through a measles outbreak. Maybe Americans should take a cue from the Swedes, who sign up in droves for all sorts of optional vaccines, including measles immunizations. How did that happen? It was no accident. Doctors and medical researchers are moving quickly on two fronts in the fight against the Ebola virus. They are aiming to develop an effective treatment based on the experimental drug ZMapp, and they have just started testing a vaccine in human trials.